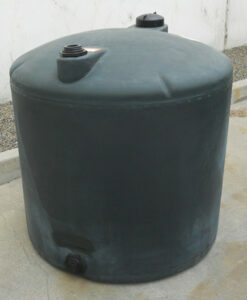 These vertical plastic tanks are closed top and have a flat bottom, they are natural in color standard weight (premium weight) at 1.5 specific gravity, also availble in color blue which is heavy weight 1.9 specific gravity. 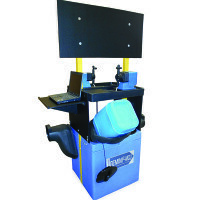 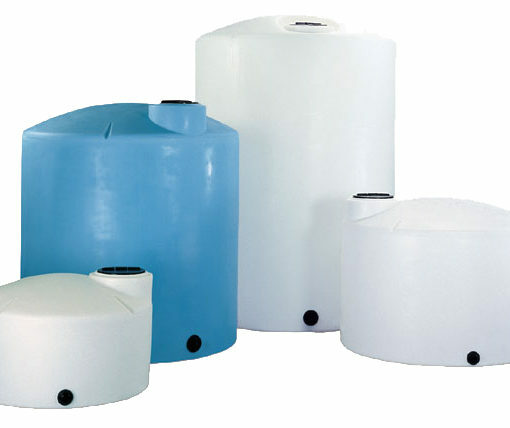 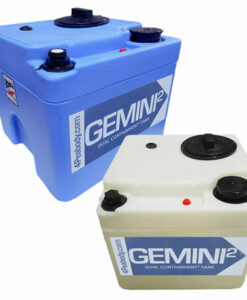 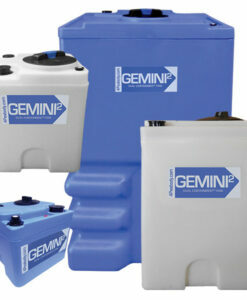 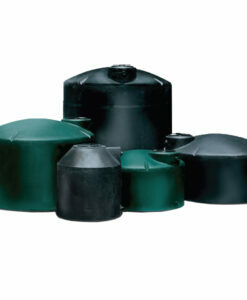 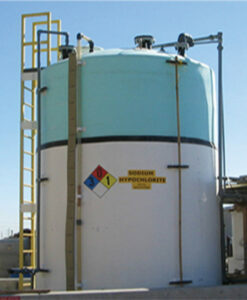 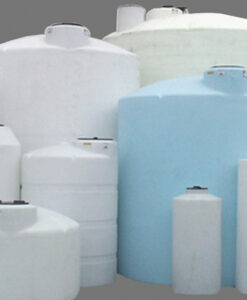 The polyethylene tanks are most frequently used for bulk storage and mobile nursing applications. 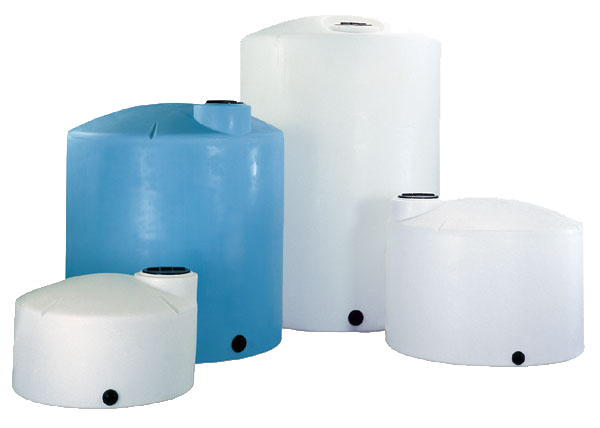 Vertical Process and Storage Tanks feature tie-down slots, built-in graduated gallon indicators, an offset fill-opening and a self-vented, slosh-proof lid.